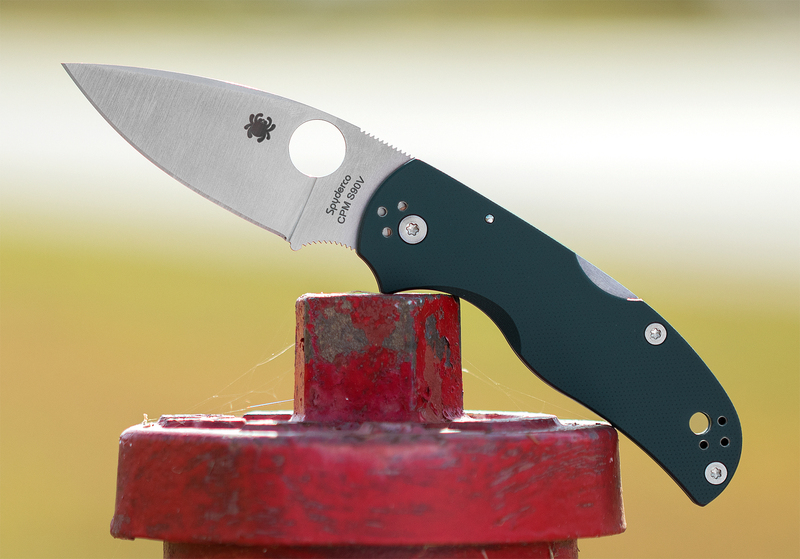 Produced exclusively for the KnifeCenter at Spyderco's factory in Golden, Colorado, this unique limited edition version of the popular Native 5 proudly showcases Crucible CPM-S90V blade steel and a lightweight linerless handle with smooth matte G10 scales. A state-of-the-art powder metallurgy stainless steel, CPM-S90V has an advanced, vanadium-rich alloy composition. Its high vanadium content promotes the formation of hard vanadium carbides instead of chromium carbides, significantly increasing the steel's wear resistance and leaving more free chromium available to provide superior corrosion resistance. 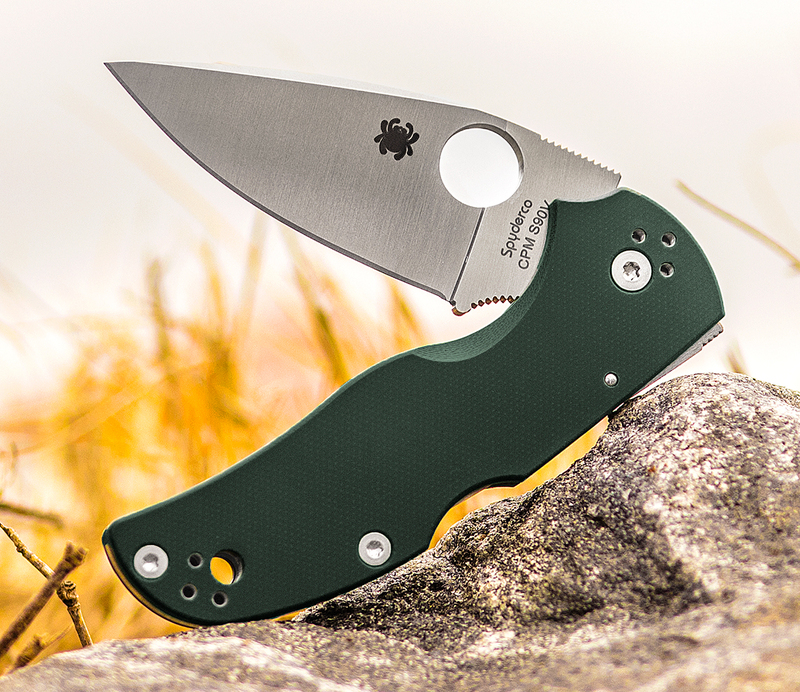 In this knife, this high-performance steel is precision machined to yield a full-flat- ground plain edge blade with a fully accessible Trademark Round Hole for swift, ambidextrous, one-handed opening. 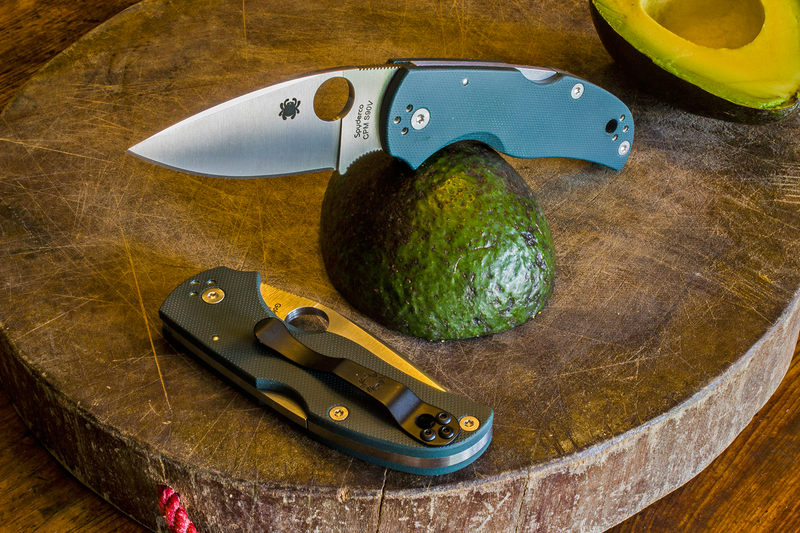 Equally unique, the handle of this Exclusive Native 5 features 3D machined forest green G10 scales with a smooth matte finish. 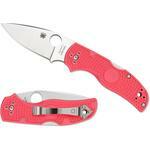 It houses a stout lockback mechanism that locks the blade securely in the open position and is easily operated with either hand. 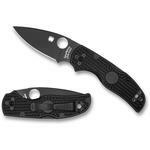 To ensure convenient carry and instant access, it also features four sets of threaded stainless steel inserts to anchor a broad-based pocket clip, allowing a choice of left or right-side, tip-up or tip-down carry. 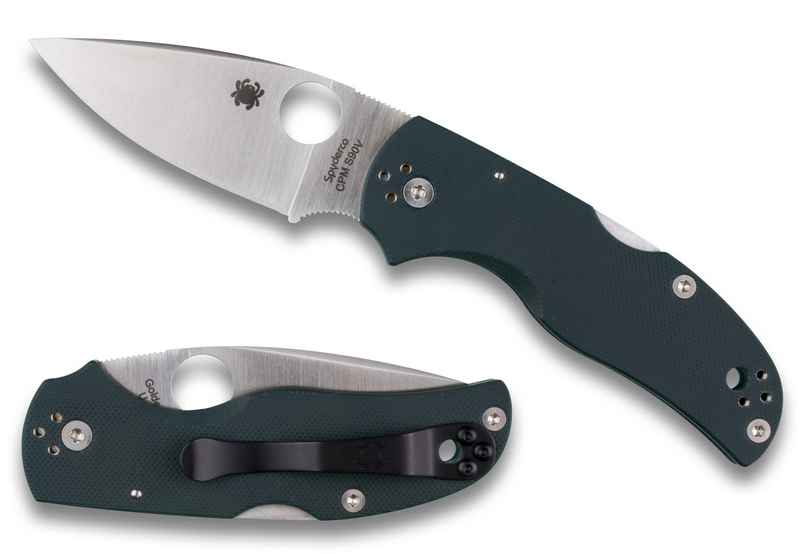 Hey, I wanted to share "Spyderco C41GPFGR5 Native 5 Folding Knife 2.95 inch S90V Satin Plain Blade, Forest Green G10 Handles, KnifeCenter Exclusive" with you from KnifeCenter.